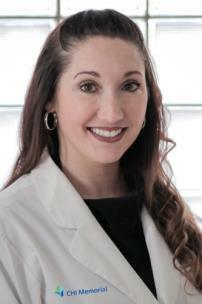 CHI Memorial Medical Group announces Amber Smith NP-BC, has joined CHI Memorial Integrative Medicine Associates. Ms. Smith received an associate’s degree in nursing from Excelsior College in Albany, NY, and her master’s degree in nursing from Southern Adventist University in Collegedale. She is board certified as a nurse practitioner by the American Academy of Nurse Practitioners. Ms. Smith has experience as a registered nurse in a hospital intermediate care unit and pediatric intensive care unit. She joins Jeffrey Jump, M.D., Mary McKenzie, D.O. and Franklin Baker, PA-C at CHI Memorial Integrative Medicine Associates, 320 East Main St., Suite 200 in Chattanooga. Ms. Smith welcomes patients ages seven and up. To schedule an appointment, or for more information, call 423-643-2246.